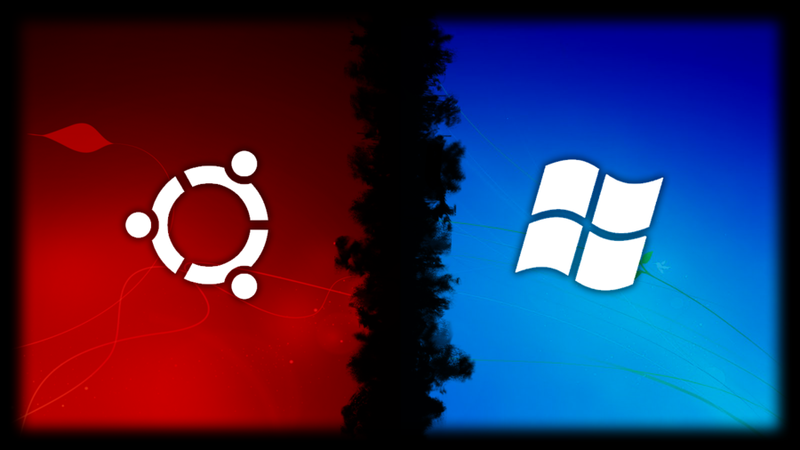 Quick tip for users who dual boot Ubuntu and Windows: if the time is off on your computer when you reboot and switch between Ubuntu and Windows, here's how to fix it. If you dual boot and there are time conflicts between Windows and Ubuntu, this occurs because Ubuntu store the time on the hardware clock as UTC by default while Microsoft Windows stores the time as local time, thus causing conflicting times between Ubuntu and Windows. The fix is pretty easy and it can be applied from both Ubuntu and Windows. A. To fix the UTC / local time difference between Ubuntu and Windows from Ubuntu by making Ubuntu use local time. Before proceeding, note that according to the Ubuntu wiki, "the advantage of having the hardware clock as UTC is that you don't need to change the hardware clock when moving between timezones or when Daylight Savings Time (DST) begins or ends as UTC does not have DST or timezone offsets". So this is not recommended and if you can, you should use method B., and fix this from Windows. B. To fix this from Windows (it should work with Vista SP2, Windows 7, Server 2008 R2 and Windows 8/8.1), by making it use UTC instead of local time, download THIS Windows registry file and simply double click it. A. From Ubuntu: reverting this change from Ubuntu is pretty easy. B. From Windows: reverting this change is a bit more complicated from Windows. Then save the file and double click it.